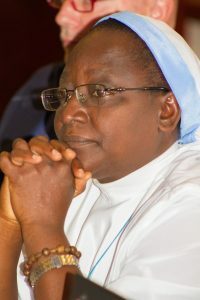 1 September 2017: Passionate about Integral Healing, Sister Esther Shebi is building on the work of Trans4m Senior Fellow Father Anselm Adodo, taking his work on Pax Africana and Communitalism to Northern Nigeria, uniquely focussing on the liberation of Nigerian Women. Sister Esther Shebi who is a member of the Christian Congregation of Our Ladies of Fatima in Jos in Northern Nigeria, heads up the Pax Jos Healing Center. 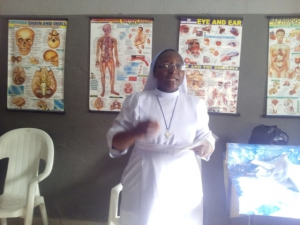 Working closely with Father Anselm Adodo and Pax Herbals, her research-to-innovation as a Trans4m Fellow, and as a participant in the Trans4m Da Vinci PhD Program on Integral Development, is focussing on “Empowerment of Women Using Indigenous African Herbal Innovation Technology in Tudun Wada Community of Jos-Northern Nigeria”. 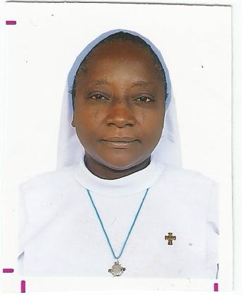 We warmly welcome Sister Esther into the Trans4m Fellowship. Read here her detailed profile.